The resins market, which suffered enormously as a result of the 2008 economic downturn, has been consistent in its recovery and is expected to continue growing through at least 2020. Multiple reports published in 2015 and early 2016 indicate that the resins market – inclusive of segments such as acrylic, adhesive and UV-curable resins – is enjoying a healthy resurgence in mature markets, as well as explosive growth in the Asia-Pacific region. The global UV curable resins market was valued at $3,555.8 million in 2014, according to P&S Market Research, and it is expected to grow with a CAGR of 9.4 percent during 2015-2020. “The factors driving the growth of the global market include stringent government regulations on emission norms and increasing demand from electronics market,” the report stated. “The government regulations have become more stringent over controlling the release of VOCs in the environment. Traditional inks, adhesives and coatings contain hydrocarbon solvents, and upon curing (normal as well as through heat), release hydrocarbons into the atmosphere. According to the report, many substances, such as PVC-based adhesives are being gradually phased out from the usage, especially in the European region and the U.S. The radiation curable adhesives, inks, and coatings, with electron beam (EB) and UV as the two sub categories that emerge as viable alternatives here, due to zero or no emissions. Within radiation curable ecosystem, UV curable products are further advantageous, as these products can be cured with UV rays, thus leaving very less impact on the environment. 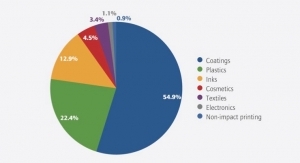 “For these very reasons,” researchers added, “the UV resins based coating systems is also the fastest growing segment within the green coatings ecosystem. Waterborne coatings, powder coatings, and high-solids coatings are the other types of green coatings. Even within the radiation curing systems, the waterborne UV curable systems are gaining traction, when compared to conventional radiation curing systems. In terms of the adhesive resins market, the global market value is estimated to be $11,339.66 million in 2015 and is projected to grow at a CAGR of about 4.88 percent between 2015 and 2020, according to Markets and Markets. Applications for this segment include automotive, packaging, industrial and others. 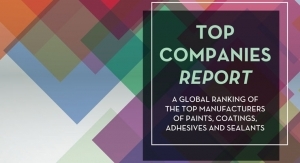 The construction sector, automotive market, and medical adhesives have all seen growth or resurgence that is contributing to a projected increase in the world-wide market for adhesive resins. The key companies in this market segment are E.I. du Pont de Nemours and Company (U.S.), ExxonMobil Chemical (U.S.), Eastman Chemical (U.S.), Dow Chemical (U.S.), Lawter (U.S.), Mitsui Chemicals America, Inc. (U.S.), Mitsubishi Chemical (Japan), Georgia-Pacific Chemicals (U.S.), Ashland Inc. (U.S.), and Yparex B.V. (Netherlands). Asia-Pacific is the biggest and the fastest growing region for adhesive resins due to the growing demand for adhesives and sealants in India, China, Japan, South Korea, and Australia. North America is a matured market and is expected to grow with a low CAGR till 2020. The acrylic resins market is also expected to grow, and has been predicted to be worth $15,973.8 million by 2019. Markets and Markets found that Asia-Pacific, Europe and North America dominated this market and accounted for over 85 percent and 75 percent of the market, by volume and by value respectively. The developing regions dominate the acrylic resin market due to growth in related segments, researchers concluded. 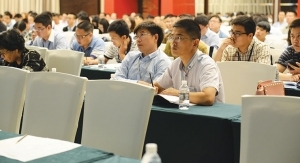 “Country wise, China is the top most consumer of acrylic resins, and is also the largest market for acrylic resins, expected to grow at a CAGR double than the global average for the period 2014-2019. 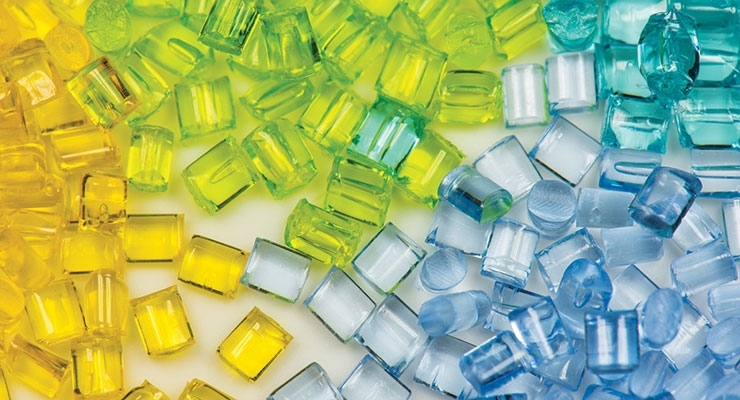 The U.S. is the second largest consumer of acrylic resins. On the other hand, the Middle East and Africa is expected to witness a growth rate, higher than global average, from 2014 to 2019. The market in this region is experiencing increased demand in several applications of acrylic resins,” the report states. Researchers added that the paints and coatings market is the topmost application segment for acrylic resins and methyl methacrylatedominates is the key raw material in this market. Paints and coatings account for more than 35 percent of the market, by volume and by value. The fastest growth rate till 2019 in the acrylic resins market is expected to come from paints and coatings used in residential and commercial constructions, decorative coatings and DIY coatings, researchers stated. Acrylic acid is the main raw material for the acrylic resins while MMA (methyl methacrylate) dominates the acrylic resins market in terms of volume and value. Existing home sales is the most predictive leading indicator of architectural coatings demand, according to John J. Hiel, North America marketing manager for Arkema Coating Resins. 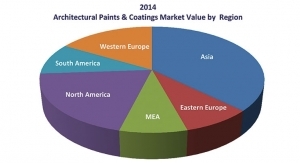 The architectural coatings market showed mid-single-digit growth in 2014. Those sales, he said, fell short of 2013 totals. “However, this was offset by continued strong unit turnover and property upkeep demands in the multi-family market, as a result of increased mobility of renters. 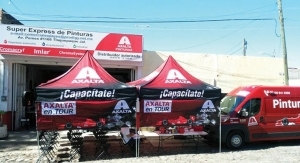 The industrial resins market continued its slow recovery, with the automotive market being particularly strong again in 2014,” he said. Michael T. Venturini, global marketing manager, Coatings, Sun Chemical, said that Sun Chemical Advanced Materials saw a positive upswing in the global resins market, especially in sales of UV-curable, waterborne and powder coating resins. Venturini added that the resins market remains highly competitive. In addition to meeting environmental regulations, resins customers frequently have technical requests for their suppliers. Larry Schnieders, technical product manager, Lubrizol Performance Coatings, said that one frequent demand is for resins that allow customers to formulate coatings that give superior performance at thinner dry film thicknesses. “Thinner films dry more quickly, or at lower temperatures, allowing production lines to run faster and ovens to be set at lower temperatures. In 2015, Lubrizol introduced Permax V1000, a vinylidene chloride acrylic resin, to meet this demand. This resin can be used in coatings that have corrosion protection at 1.5 mil (38 microns) dry film thickness equivalent to other products that require a dry film thickness of at least 3.5 mil (89 microns) to achieve this level of performance,” he said. Schnieders added that another common demand is for resins that are more environmentally-friendly. To meet that need, the company introduced a non-halogen flame retardant acrylic, Hycar NH 3069. “This resin imparts flame retardancy to cellulosics without the use of additives or halogenated materials. Media properly treated with Hycar NH3069 will pass NFPA 701 vertical and MVSS302 horizontal burn testing,” he said. He added that in the last two years, Lubrizol has also introduced several resins for filtration media that do not contain, or produce, formaldehyde. 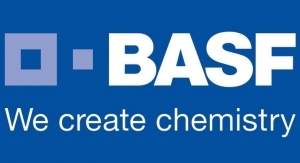 According to Tom Hall, market segment ,manager - Industrial Coatings, BASF Dispersions & Resins, North America, efficiency is the major driver for customers. “They are seeking resins that can stick to anything, including poorly prepared substrates. 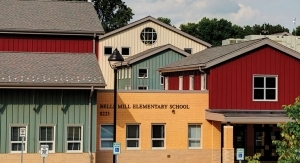 Direct to metal continues to be a major focus with expectations that single coat systems must perform at the level of multi-coat systems,” he said. Over the last several years, global environmental regulations have led to the need for increasingly lower VOCs. In order to meet the demand for these products, suppliers have introduced several new “green” technologies to the market. Daikin America has developed a low-VOC, solventborne fluorourethane as well as a waterborne 2K fluorourethane with similar performance as the solventborne. According to Pierre Kuyl, business development manager, Surface Modification Technologies, the products offer a lower life cycle cost by reducing the frequency of re-coating, which will have a positive impact on the environment. Julie Vaughn, vice president of business development and marketing at Emerald Performance Materials, said that Emerald “prioritizes the development of chemistries that lower environmental impact without sacrificing on performance or economy.” This includes products that lower VOCs, utilize innovative renewable starting materials, or replace materials linked with toxicity, mutagenicity, or carcinogenicity. Vaughn added that certain product offerings are also being used as replacements for particular materials of concern. For example, ERISYS GA-240, a tetra-functional epoxy reactive modifier, can serve as a drop-in crosslinker replacement for polyfunctional aziridine (PFAZ) in coatings and adhesives. PFAZ has been linked with mutagenicity, and ERISYS GA-240 is a safer, non-mutagenic alternative. Since it has a longer pot life than PFAZ, manufacturers can also avoid re-inoculation for better economy. Reichhold’s Scott Cooley, coatings technology director, said that Reichhold continues to provide waterborne solutions to meet low VOC challenges through self-crosslinking BECKOSOL AQ alkyd latex, UROTUF urethane and EPOTUF epoxy ester technologies. “Each of these technologies are biobased and supplied at a low VOC. These biobased polymers have the benefit of being applied at a lower molecular weight that increases through oxidative crosslinking, thus allowing performance advantages over alternate petroleum based polymers. Such advantages include good flow and leveling, penetration, high gloss, hardness, adhesion and durability,” Cooley said. 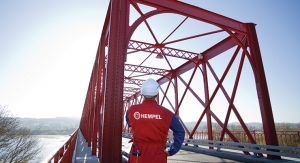 Arkema Coating Resins, according to Hiel, has developed a full array of products that display the EnVia trade name. EnVia products have passed the company’s rigorous certification program to ensure they are suitable for use in formulations for sustainable paints, coatings, adhesives, sealants and construction products. All products that are certified as part of Arkema’s EnVia program meet key requirements, including: having no added alkyl phenol ethoxylate (APEO) surfactants; no added formaldehyde or formaldehyde donors; a total latex VOC < 5 g/L; below regulatory reporting limits for carcinogens, reproductive toxins and ozone depleting compounds; low residual monomer levels (total monomer < 500 ppm); minimizes use of hazardous substances; Green Seal hazardous components < 0.01 percent by per component; California Prop 65 substances are minimized and documented with data available upon request; Hazardous Air Pollutants (HAPS) < 0.1 percent; and no known added phthalates, triphenyl or tributyl tins, 1,2 – dichlorobenzene. According to Venturini, one of the latest “green” technologies launched by Sun Chemical is a series of products under the WATERSOL line. 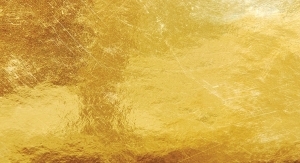 A group of self-emulsifying acrylic resins developed by DIC for automotive interiors, WATERSOL water-based resins deliver performance properties similar to solvent-based resins and demonstrate excellent corrosion resistance, high hardness, pigment dispersability and low-temperature film formation properties. “We also recently launched WATERSOL WQS-364, a UV-curable water-based polymer for water-reducible coatings on plastics which contains a hydrophobic multi-functional methacrylate and urethane acrylate core surrounded by a hydrophilic group. This unique technology brings both excellent package stability and a level of chemical and solvent resistance to the cured films not seen with other UV-curable systems,” he said. 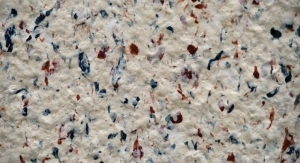 For more information on the resins market, see the online version of this article at www.coatingsworld.com.